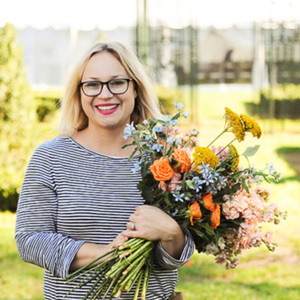 Michelle Launched her Floral and event design company in 2011, in NYC (specifically Brooklyn). 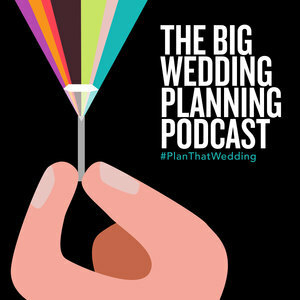 As an event designer, florist, and content producer, Michelle has been quoted in the NYTimes and the best-selling book, A Practical Wedding, and featured multiple times on Style Me Pretty, Martha Stewart Weddings, The Knot, and HGTV. Michelle is a life long creative, and holds a BFA in Textile/Surface Design from the Fashion Institute of Technology. Michelle spent seven years working the fashion industry before she found her passion of designing joyful events and whimsical florals. Michelle's experience putting together cohesive collections of textile designs for well known brands is evident in the way she pieces together the many items needed for a completely immersive event experience. Michelle Edgemont has been a guest on 1 episode.